Roxane has been assisting Dr. Cress in helping to treat TMS patients since April 2010. 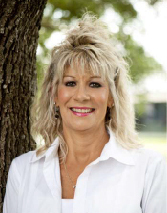 A veteran of the health care industry since 1982, Roxane is a Certified TMS Technician and patient advocate. She coordinates new patient education, clinical evaluations, and case management for patients receiving TMS therapy. Roxane has completed courses at Duke University in Transcranial Magnetic Stimulation and Harvard Medical School’s course in Transcranial Direct Current Stimulation. She has attended several Clinical TMS Society Meetings (2013 – 2016) and the 1st International Brain Stimulation Conference in Singapore alongside Dr. Cress in March 2015. She also attended the UCLA Individualized Neuromodulation for Neurologic and Psychiatric Disease Conference in October 2015. She also attended the 2018 Clinical TMS Society Meeting as an invited panelist on clinical care delivery. Roxane is dedicated to expanding her knowledge in neuromodulation and ensuring that each patient receives full support and continuum of care. She is a vital part of the journey to wellness at TMS Serenity Center. Lexi recently joined Dr. Cress at TMS Serenity Center. She is assisting Dr. Cress in the use of TMS therapy for the care of individuals suffering from mood disorders. Her expertise in TMS therapy comes from both hospital and clinic based training and years of clinical care experience. She is a Certified TMS Technician. Prior to being trained and gaining clinical care experience in the advanced neuromodulation technique of TMS, she had formal education, training and clinical experience in multiple dental specialties. These included but were not limited to specializing in orthodontics and ortho-gnathic surgery. Lexi brings a comprehensive skill set of advanced patient care expertise as she continues in her compassionate treatment of patients, patient education, as well as functioning as a dedicated patient advocate with insurance carriers on behalf of our patients at TMS Serenity Center. Maria joined Dr. Cress and Sweetwater Psychiatry in August of 2009. She was raised in the Houston area after her family moved from Argentina over 20 years ago. She is a graduate of Remington College with a degree in Medical Assistance and has extensive experience within medical administration. Our patients find her efficient, yet, warm and caring with all of their scheduling of appointments and prescription needs. Maria is impeccable with details and makes every effort to make your visit to Sweetwater Psychiatry as easy as possible.